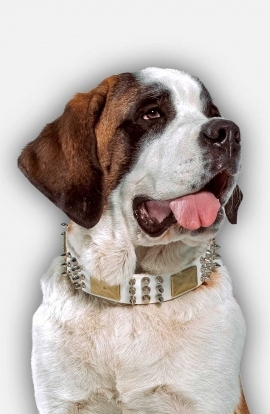 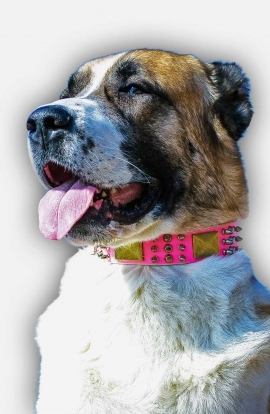 Search "female dog collar" 46 results have been found. 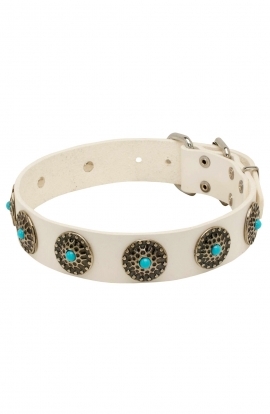 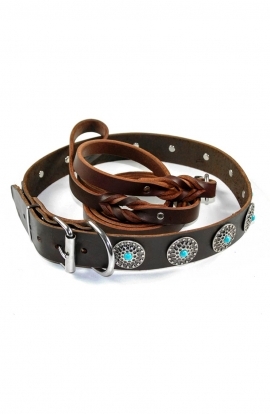 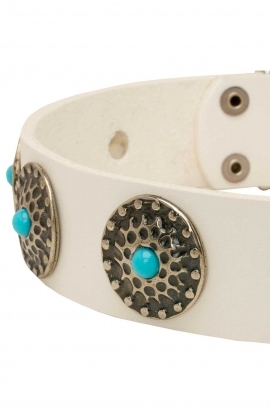 Top hotch handcrafted dog collar with exclusive metal circles and blue stones for decoration. 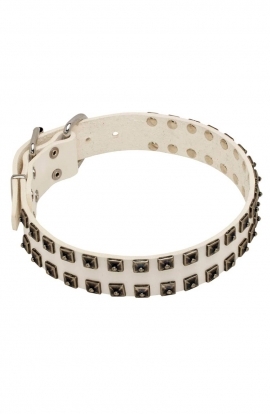 The highest quality genuine white leather is used to make a soft, thick and heavy duty collar which will last. 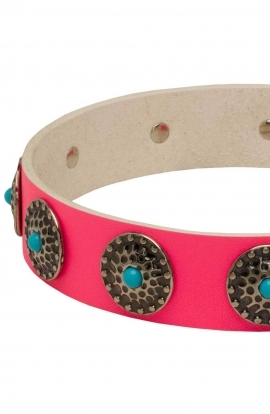 This exquisite pink leather dog collar is made by hand of genuine leather and assembled with solid hardware and riveted decorative circles with blue stones. 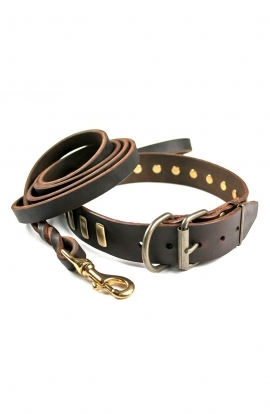 Being made of strong genuine leather with waxes edges the collar will look attractive without traces of wearing out for years. 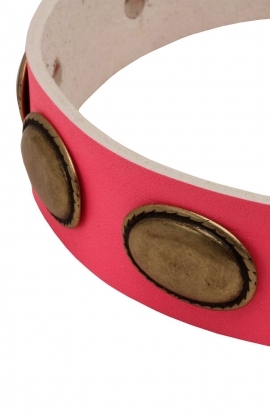 Its bright pink color and symmetrically arranged brass pyramids underline the beauty and elegance of your dog. 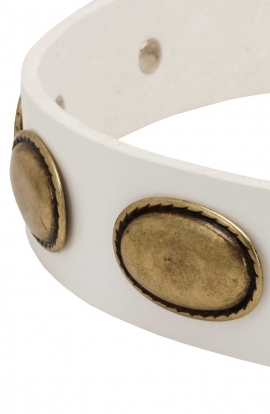 Hyporallergic brass hardware features rust resistance, thus will serve for years. 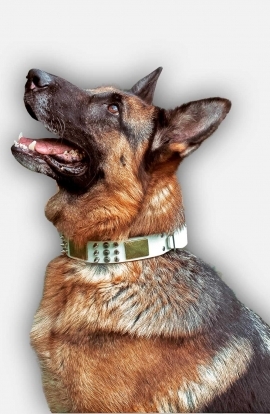 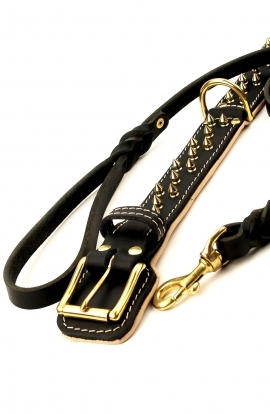 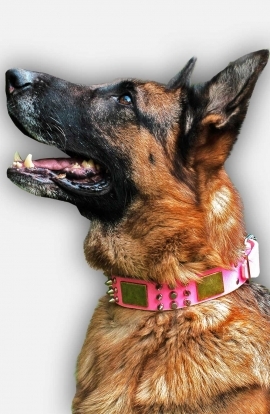 This dog collar is really unique and unforgettable! 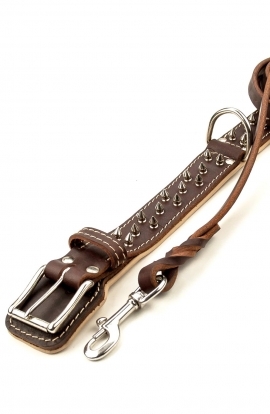 White genuine leather, smooth edges, careful hand workmanship - everything your dog needs for stylish look and comfort during his/her everyday walks. 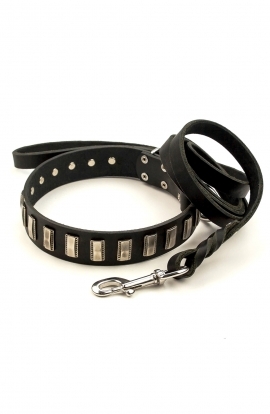 Give your faithful friend a bit of elegance and singularity. 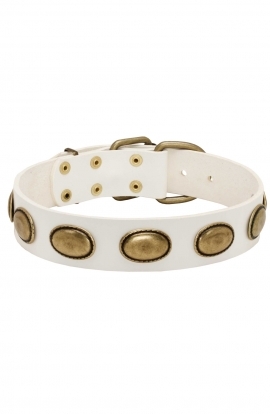 Brass oval plates in vintage style and the same style buckle complete this magnificent ensemble. 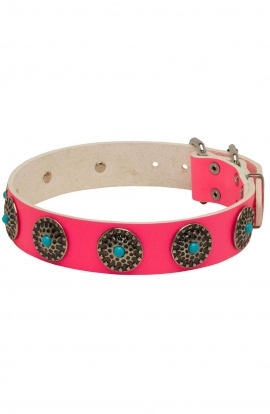 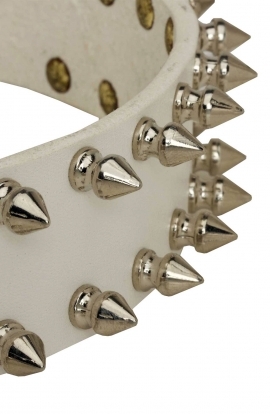 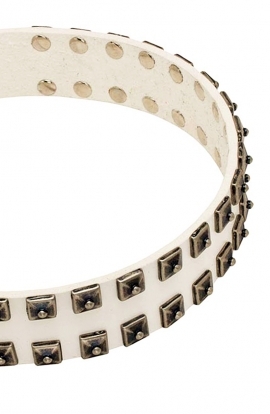 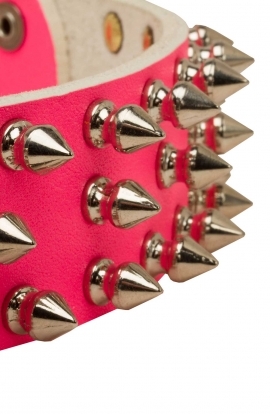 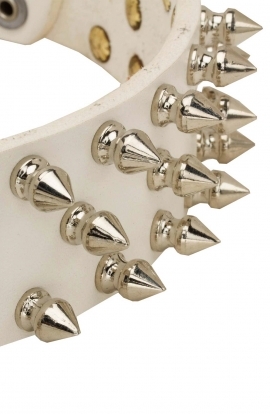 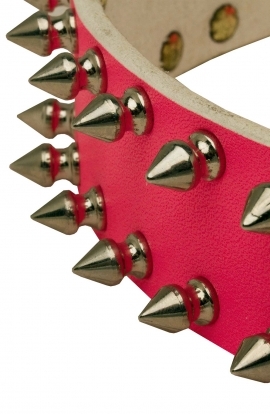 Fantastic vivid pink leather dog collar with three rows of shiny nickel-plated spikes. 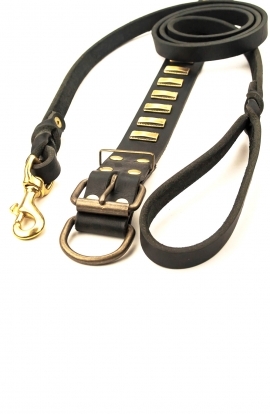 Strong and reliable accessory for her! 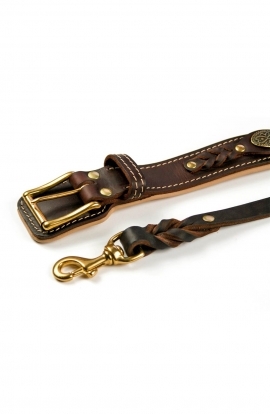 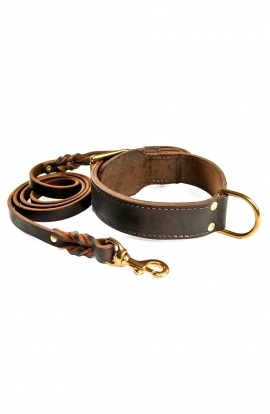 It features a heavy-duty steel nickel-plated buckle, a welded D-ring and a strap keeper. 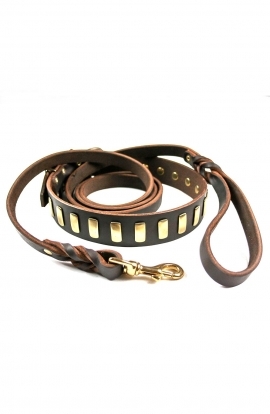 It is convenient and safe, comfortable for your pooch and long-lasting. 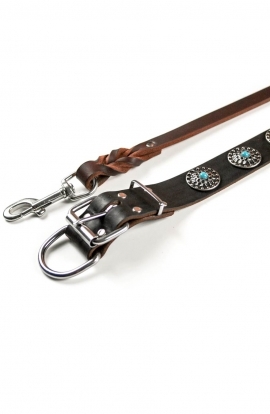 Fully handmade, this item deserves a minute of your attention.